Welcome to the newest home in our Hawaiian Luxury Collection. 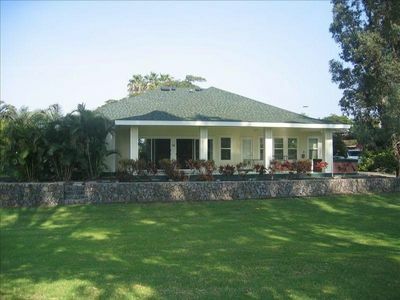 Coral Reef Villa at KaMilo is a wonderful large single level 4 bedroom home that includes three bedrooms, each with a large master bath/ensuite in the main home and a standalone suite as the fourth bedroom for ultimate in privacy. 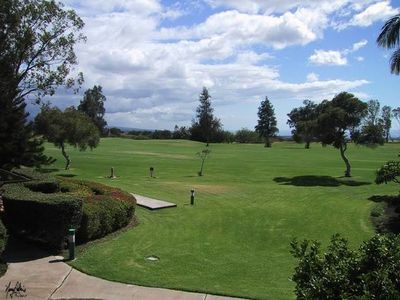 The home also comes equipped with pool and spa and unobstructed views of the Mauna Lani North Golf Course 11th Fairway. 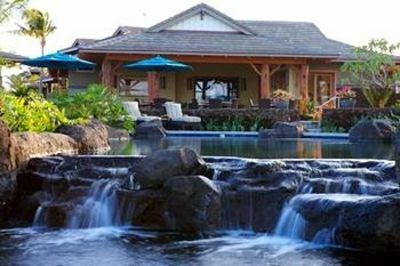 We pride ourselves on provide some of the most sought after homes on the Kohala Coast and are thrilled to add Coral Reef Villa to our collection. We have now partnered with the wonderful homeowners of Coral Reef Villa to provide a similarly well equipped home for your entire family or group to enjoy. 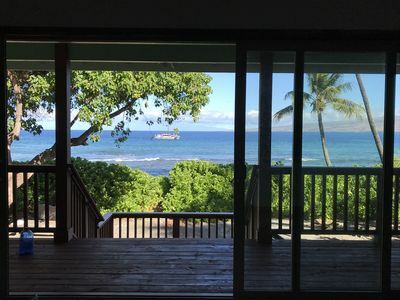 Coral Reef Villa provides a perfect setting for your Hawaii getaway and is designed for gatherings of up to 10 people and is provides a upscale, relaxing, luxurious and well equipped home for your Hawaiian vacation. Whether hosting your multi-generation family or travelling with other families or couples there is space enough for everything to be comfortable. 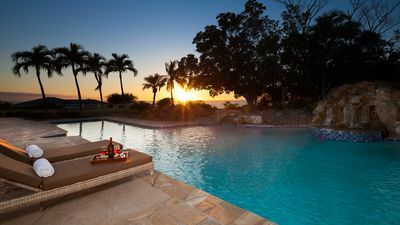 Watch the sunset over the fairway in your private back yard spa or pool. This home is one of the closest to the recreation center complex including a fantastic fitness center, lap pool and large family pool. As a large single level home there are no stairs. 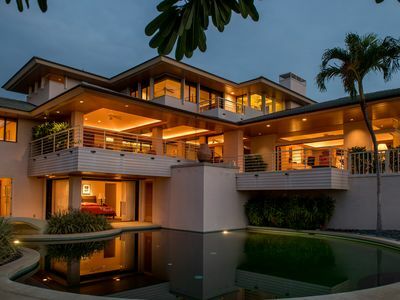 The wall opens the large open concept kitchen, dining and living room to the lanai, pool and beautiful outdoor gardens. 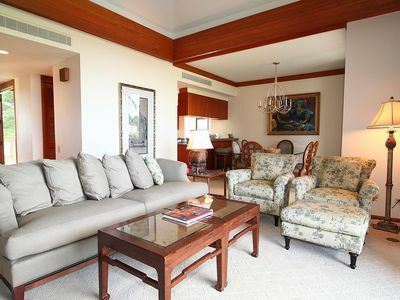 The comfortable elegance of this home is sure to delight your entire family. 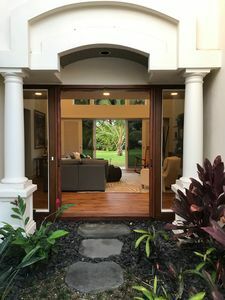 We know our Guests look forward to an exceptional experience from the moment you start planning your Big Island vacation. We've incorporated all of our vacationing experiences from Hawaii and around the world, to ensure you have an exceptional stay. 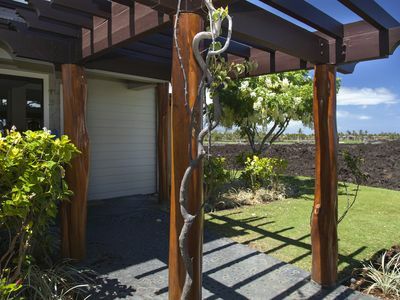 • Big Island is such a wonder place to spend with your friends and family, children and grandchildren. Vacations create such wonderful memories; our hope is this trip will be one of your fondest family memories and that you'll return year after year. This single level 4 bedroom home is fully furnished with 4 Master Suites, each with a private bath ensuite. In the main home the first bedroom features a King Size bed. The second and third bedrooms are equipped with (2) Twin XL beds that can be joined to make a king with a gel mattress topper. In addition, there is a queen sleeper sofa in the living room. 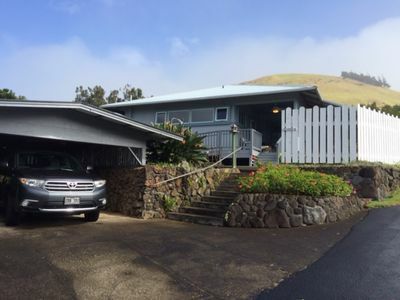 This home is the Hoku B model which is one of only a few at KaMilo that feature a stand alone guest cottage. Detached from the home this suite has a King bed and its own washroom. The house and the guest cottage all have central AC. 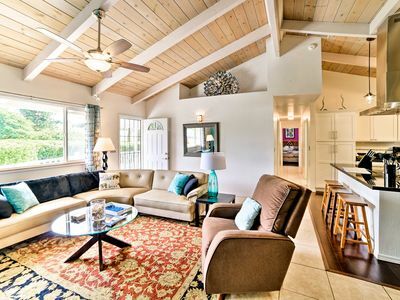 The airy open concept main floor includes kitchen, dining area, great room, and large lanai with outdoor kitchen. 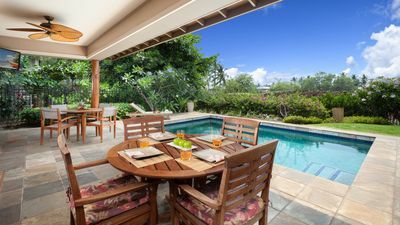 The dining room table will comfortably accommodate 8 people plus another 4 at the lanai outdoor table, or 4 at the expansive kitchen island. The home features a family room separate from the living room where there is a new large 70” UltraHD 4K for relaxing after a long day of fun in the sun! It is perfect for relaxing, playing games, listening to music on the sound-bar, watch the game, or relax with a movie from our complimentary NETFLIX, Cable or Apple TV. Each bedroom also has a TV with Netflix and Cable. 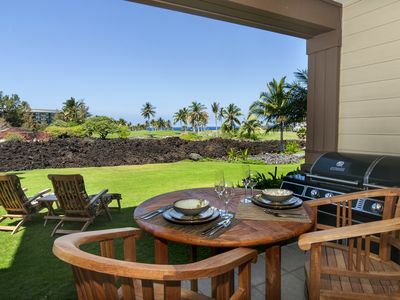 The lanai has a private BBQ, outdoor living room, and dining area is a perfect place to enjoy throughout the day. 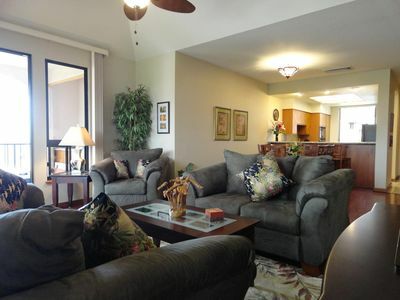 Each lanai is tastefully furnished for your comfort and enjoyment. Whether you're celebrating a birthday, anniversary, a new job, retirement, or simply celebrating the sunshine, our home is sure to create a great experience. o Beyond building an elegant, yet comfortable furnished home, we know its often the small surprises and conveniences that make all the difference. Enjoy our collection of bikes (adult, youth and kids with helmets and locks) allowing you to explore the Mauna Lani resort. 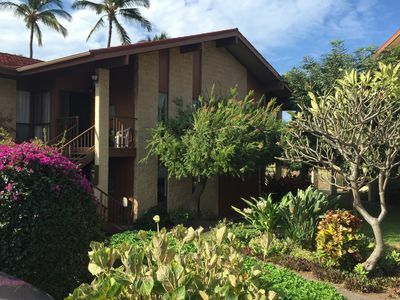 They are great for going to the Private Beach Club, exploring the Black Sand Beach, historical grounds, Fairmont resort hotel or the many other wonderful places that Mauna Lani has to offer. Ask us about deals on a GEM Neighborhood Electric Vehicle (Golf cart) rental for even more family fun. Staying in KaMilo gives you full access to its Recreation Center with fitness equipment and multiple hot tubs and lap pool, free form pool and kiddie pool. You can also take advantage of the clean private beach club staffed with lifeguards and the Napua Restaurant just two miles away. Excellent snorkelling in calm waters! 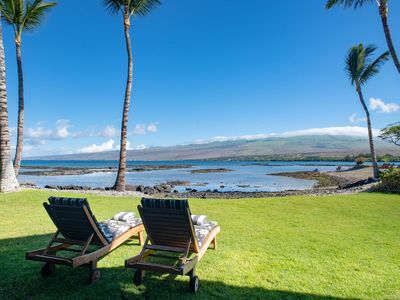 A short drive away are the six (6) of the most spectacular beaches in Hawaii including Beach 69, Hapuna beach and the breath-taking Mauna Kea beach. 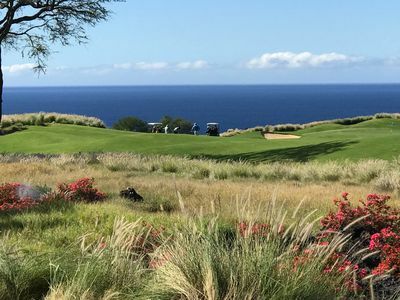 The Kohala coast is a golfer's paradise with seven (7) challenging courses all within 7 miles of our villa. 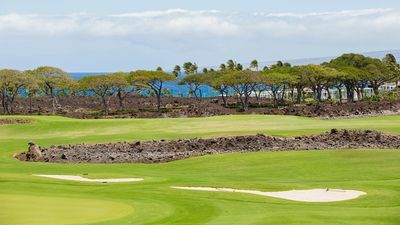 Minutes down the street is the Shops at Mauna Lani where you can find super-market, coffee shops, restaurants, clothing and accessory stores, art, and free weekly entertainment in the evenings. A short walk or bike ride from Coral Reef Villa is the Fairmont Orchid Hotel. Make Coral Reef Villa your home, extend your conference stay! NEW! 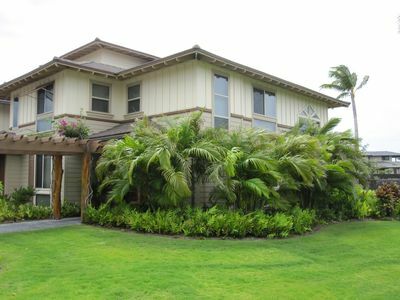 Waikoloa Village Home - 6 Miles to Beaches! 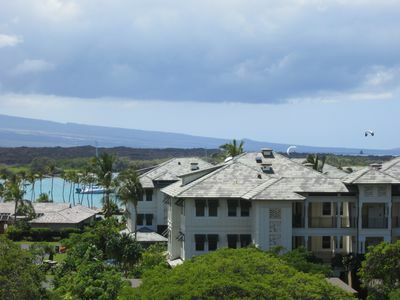 Waikoloa Villa | Ocean Views | Two Pools!